On Aug. 15, mobilization of construction will begin on the Weed Beach Improvement Project. It is expected to take approximately eight-months to complete. Public use of Weed Beach will continue with limitations and some inconveniences. To accommodate the community, bathrooms and outside showers will remain accessible until Aug. 28. The bathhouse will be shut down and demolition will begin on Aug. 29. Lifeguards will no longer be on duty as of August 15 and the concession stand will be closed. Parking will also be limited during construction. To offer an alternative, residents are encouraged to go to Pear Tree Point Beach where facilities will be open until Sept. 30. Lifeguards will be on duty at Pear Tree for the duration of the summer. 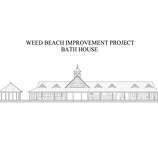 For more information about the Weed Beach Improvement Project, visit www.darienct.gov, or call 203-656-7325.